From June 17 – 22, 2017 dozens of Tall Ships from all over the world will sail into Boston Harbor for a 5-day maritime festival. Continue reading to learn more about the types of ships you can see at Sail Boston 2017®. 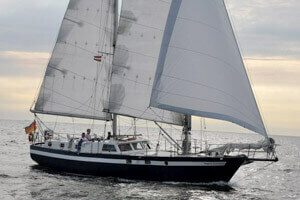 As defined by Sail Training International, a Tall Ship is a traditionally-rigged sailing vessel. 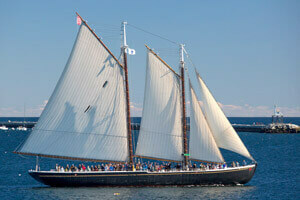 Modern tall ship rigs include topsail schooners, brigantines, brigs and barques. 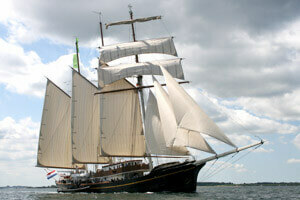 Tall ships can be categorized by the number of masts/shape of the ship or by class (size). Full-Rigged Ship: This type of vessel has at least three masts which are all square rigged. Full-rigged ships were commonly seen during deep-water cargo carrying trips in the 19th century. 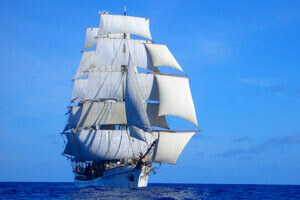 Barque: A vessel that has at least three masts with the fore and main masts being square. Today many “sailing school” ships are barques. Barquentine: This type vessel has three masts, all are fore-and-aft rigged except for the square mast. Barquentine ships are most frequently seen in the Baltic and North Sea. Brig: The brig was originally used as a basic cargo ship in the early 19th century and had the reputation of sailing “fast and well”. Used frequently in the 19th century for historical naval battles like the Battle of Lake Erie! Brigantine: In the 13th century, a brigantine was known as a sail and oar-driven war vessel. Lateen rigged, which means the boat can track against the wind, on two masts and had eight-twelve oars on each side. It was the Mediterranean pirates’ favorite type of ship due to its speed, mobility and being easy to handle. 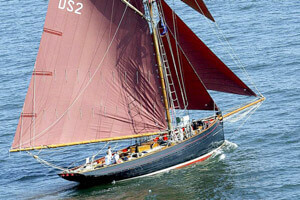 Schooner: These vessels were first used by the Dutch in the 16th and 17th century. 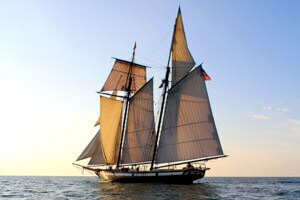 Soon after, schooners were developed in North America and were heavily used in New England by the 18th century. Defined as having at least two masts, schooners were most commonly used for tasks that required speed such as blockade running, slaving privateering and offshore fishing. Four classes were created to categorize these ships by overall length, waterline length, and rigging (traditional, squared or modern). Class A: Consists of all square-rigged vessels including barques, brigs, brigantines and all other vessels more than 131 feet in length overall. Class B: Contains all traditionally rigged vessels. 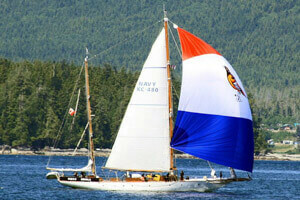 Some of these include gaff rigged sloops, schooners, and yawls. To be in class B each of these vessels need an overall length of less than 131 feet and a minimum waterline length of 30 feet. 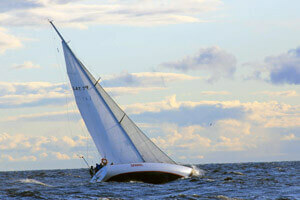 Class C: Contains ships with an overall length of less than 131 feet and a waterline length of at least 30 feet. 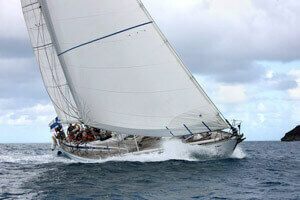 Modern rigged vessels such as Bermudan rigged sloops, ketches and schooners belong to this class. Class D: Class D, like Class C, contains modern rigged vessels such as schooners, ketches, and Bermudan rigged sloops, and each with an overall length of less than 131 feet and a waterline length of at least 30 feet. 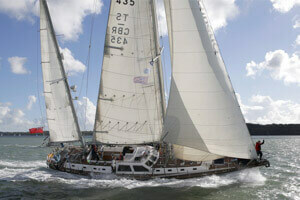 The difference is that the D class vessels carry spinnaker like sails. 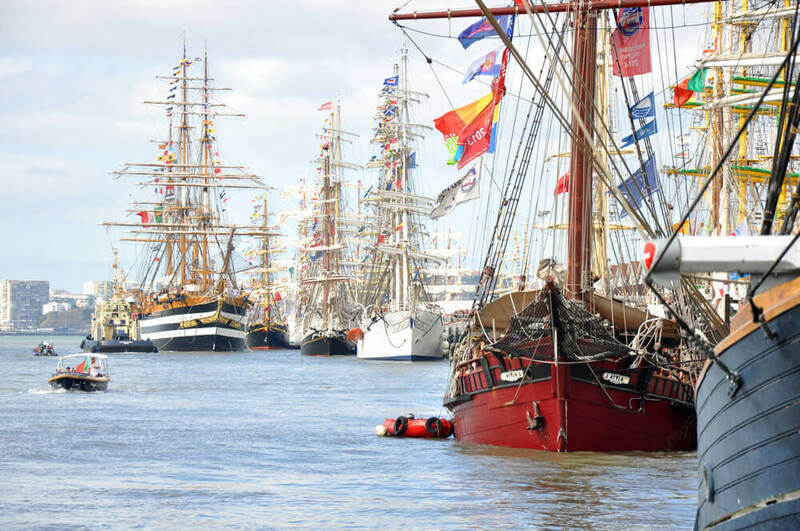 Explore the website to learn more about Sail Boston 2017® and the Rendez-Vous 2017 Tall Ships Regatta or follow us on Facebook, Twitter, and Instagram. Join the conversation using #SailBoston. 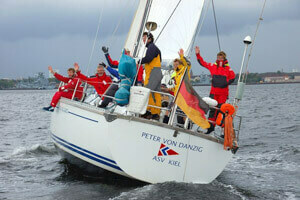 Who owns the ships that participate in the regatta? 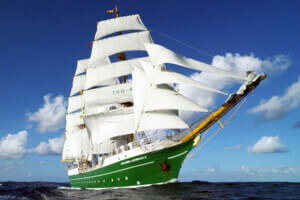 Tall Ships can be owned by their country of origin or privately owned as training vessels. Visit our participating ships page to find links to the ships’ individual websites for more information. Do you have a date when single tix will be available? It’s our hope to have them available in the next month or so. Please check back for details. Which is the longest ship? 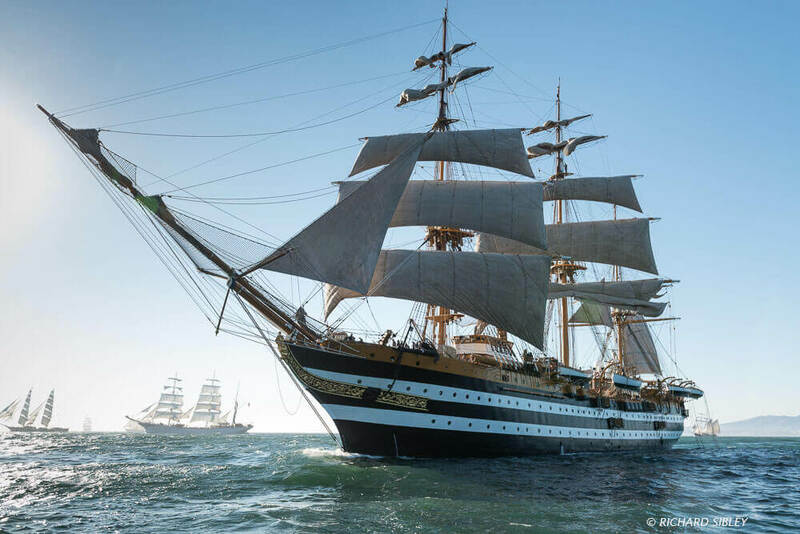 The longest ship coming to Sail Boston is the Peruvian Navy training ship Unión, which is 379 ft.
Is there a free cruise around the tall ships? There is not a free cruise option, but please visit our Tours & Attractions page to see our great local partners. There are links to their websites with more information on their individual offerings. The USS Constitution will celebrate Sail Boston in drydock, but we anticipate participation from the USS Constitution Museum and Charlestown Navy Yard. Sail Boston will also have several ships berthed in Charlestown. Is there an admission charge to board the ships that allow boarding? And which ships allow boarding? The ship boarding will be free and open to the public. Each ship will have their own public viewing hours which will be posted on the website closer to the event.